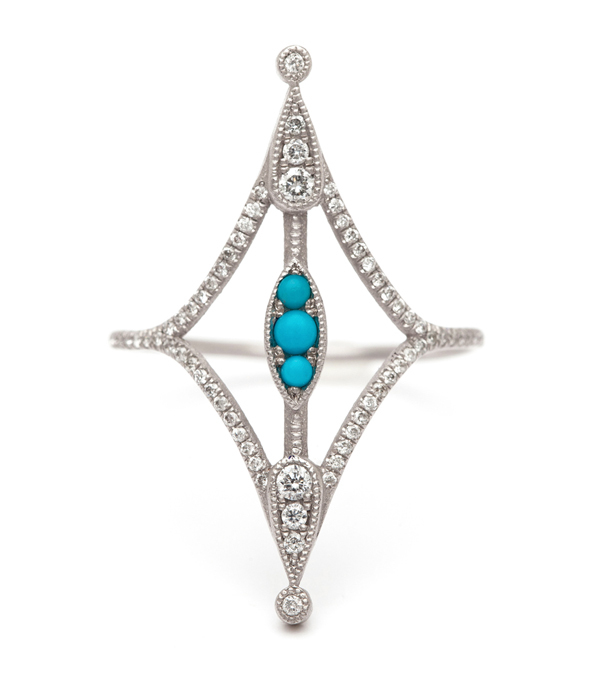 This daring and enchanting open-work ring boasts a unique look with bohemian appeal. 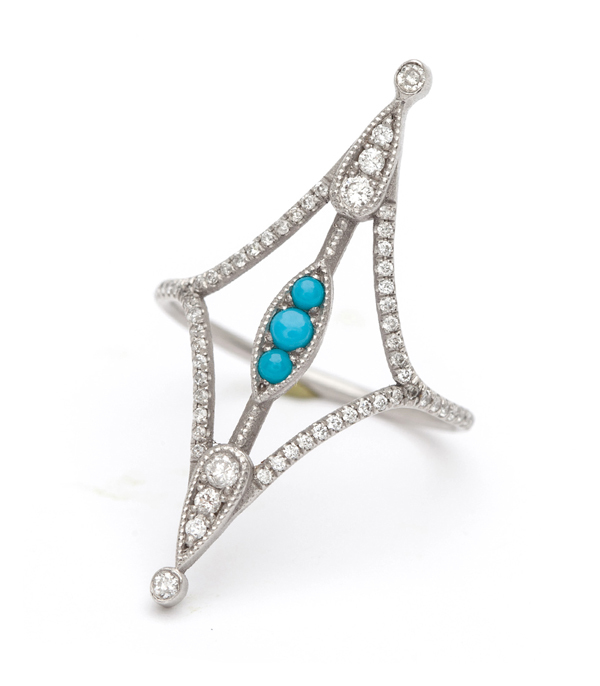 Shown in 14K white gold, the frame of this piece is delicately set with diamonds (approx. 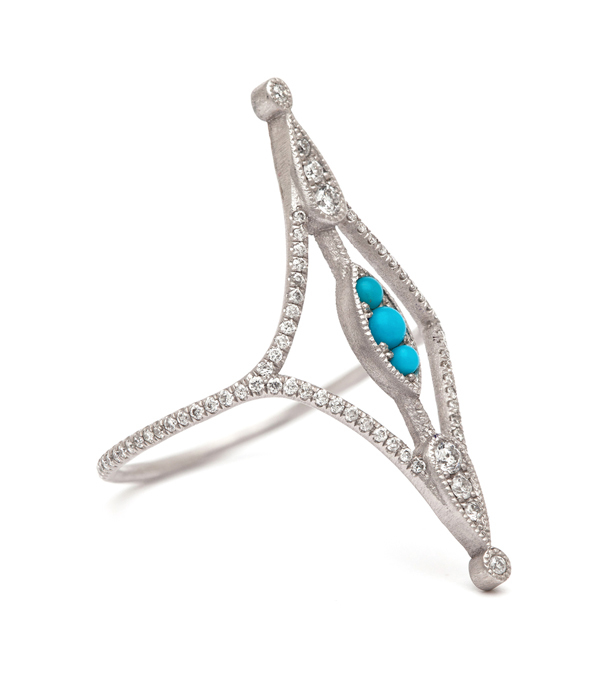 0.20ctw) and three turquoise center stones for a pop of color, creating a dainty, yet powerful statement piece that is sure to be a show stopper. 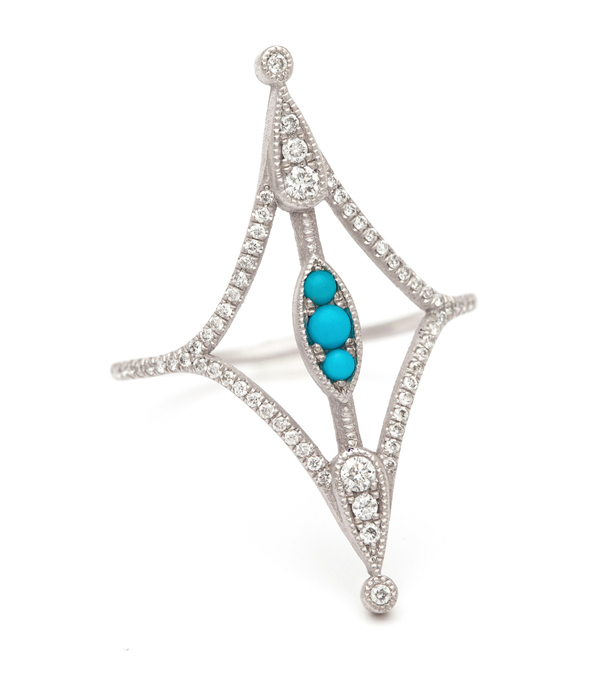 Inspired by Art Nouveau with a touch modern style… this striking beauty is a bold piece for any boho princess.